Record: Two-thousand Hyundai i20s booked in 20 days! Hyundai, which recently rolled out the second car of the 'i' series in India - the i20, has started claiming records already! 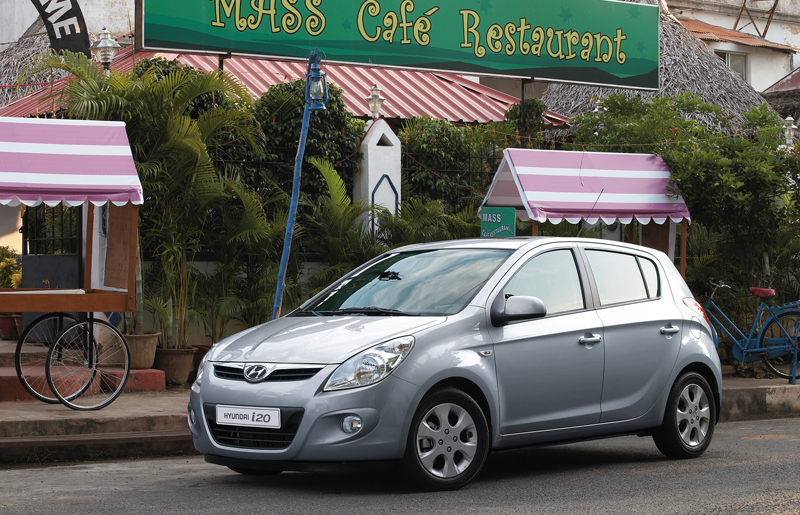 When the i10 was launched in late 2007, it quickly grabbed a spot in the the Top 10 sales chart, and now, same is the case with the Hyundai i20 after its late 2008 launch. "Based on the customer order, we will sell 200 units of i20 this month, It is (in line with) our target of selling 1,500 units month", Said Mr.Arvind Saxena, Sr. Vice President, Marketing. Regarding the possibility of an imminent price hike on its models, Mr. Saxena Said it could be by end this month. Hyundai also stated that it was exploring new export markets in the current recessionary mood. Hyundai is also in talks to export to newer markets like Australia, New Zealand, Saudi Arabia, Mexico and Chile from the Chennai plant.